You can run these gift cards through many popular credit card terminals. An outside source will keep track of the value on the card for you. This is a very easy and foolproof way to track your gift cards. If you have more than one location it is the best option for you. If your clerks can process a credit card transaction, they can process gift cards. We offer full training on how to use gift cards. If you are currently using a Point of Sale Computer System to process credit cards you will likely use that same system. If you process credit cards with a separate VeriFone type terminal you will use that to track your gift card balances. Call 800-426-5708 if you have any questions. Our phones are answered by a real live person Monday thru Friday 8am to 5pm Pacific Time. Your gift cards can have your company name and logo on them. It's like having a small billboard for your company in your customer's billfold. You can create your own graphic design for your cards or you can place your company logo on one of the graphic designs that we have for you to choose from. Theft isn't a problem if they are displayed at the point of sale as the cards cannot be used until they have been activated by one of your customer service representatives. If someone tries to use a card that has not been activated, the transaction will be declined. Youll get variety of audit friendly reports that allow you to track card balances and all transaction activity on the cards. Track all your money, all the time. You will receive detailed reports daily, weekly, or monthly that tell you exactly how much money is on your gift cards. Employee theft is usually not a problem because gift cards provide a more complete audit trail than paper gift certificates. Processing gift card transactions is easier and faster. With 10 minutes or less of training, your employees will be processing gift card transactions faster and more efficiently than they ever could with internally tracked cards. For fraud prevention our card numbers are produced using an algorithm that is very similar to the "Card Verification Value" used by Visa, MasterCard and American Express. We normally use 15 digit card numbers. If you have shopping cart functionality on your web site your customers can order cards, reload cards and check balances via the Internet. We provide your web developers with all of the information they need to allow your customers to buy, redeem, or check the balance on a gift card(s). 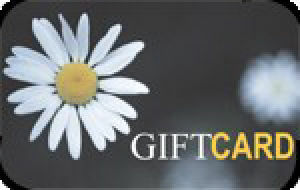 Call 800-426-5708 if you have questions or want to order Externally Tracked Gift Cards.